Your friends will ask, “When did you get new a carpet?” That’s the deep-cleaning power of a Rug Doctor carpet cleaner. 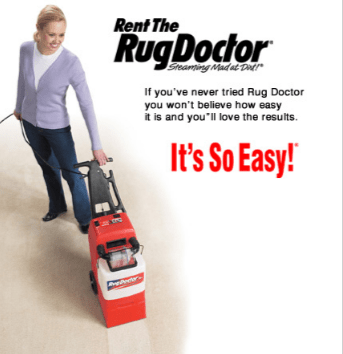 The Rug Doctor gives you the results of a professional carpet cleaner with our one pass cleaning system, so no repetitive back and forth motion is required. The secret is the Injection, Agitation and Extraction – process.